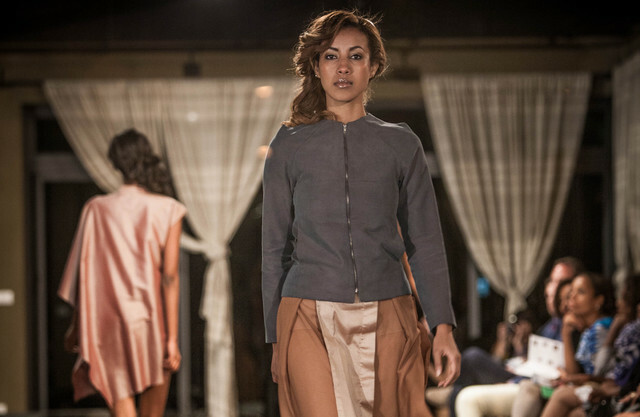 New York (TADIAS) – The 2014 Hub of Africa Fashion Week took place at Galani Coffee and Gallery in Addis Ababa last week. Organizers note that the international runway show dubbed the “Editorial Edition” included a special event at Monarch Hotel on October 25th targeting buyers and fashion industry players. The participating designers were Modanik (DRC); Ruald Rheeder (South Africa); Katungulu (Kenya) Yohannes Sisters (Ethiopia); Abugida (Ethiopia); Cepha Maina (Kenya); Mela (Ethiopia); Sandstorm (Kenya), Assi’s Collection (Ethiopia) Rooi (Nigeria/London): and Mataano (Somalia).